This is a Major gaff. 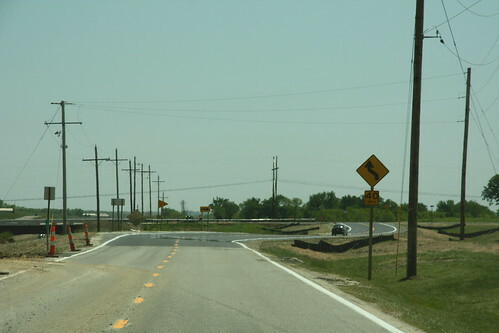 Sure, there's a reverse curve on the soon-to-be west frontage road for US 59; however, this particular warning sign is backwards. 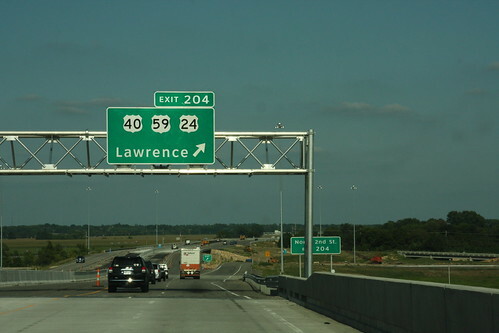 The new guide signs on the Kansas Turnpike for the Lawrence exits are now in Clearview typeface and mounted on overhead gantries. 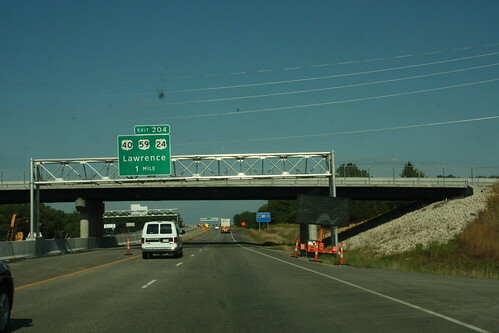 Here's the first gantry that you see on approach to the West Lawrence interchange, signed for US 59 south. 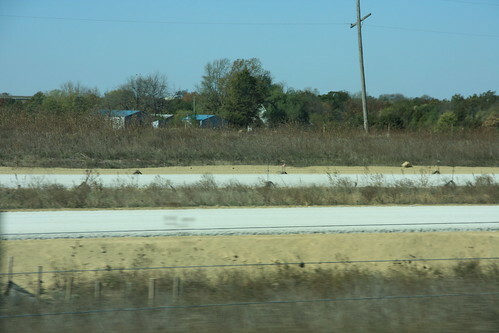 Paving for part of the new US 59 in Douglas County is now underway. 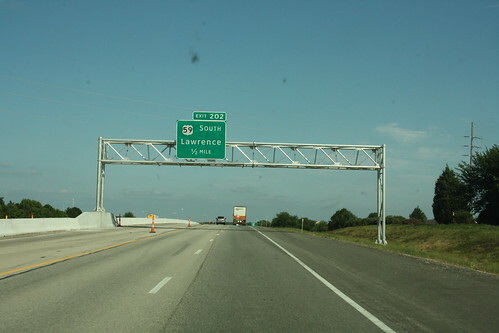 First off, we start with a nice aggregate base.